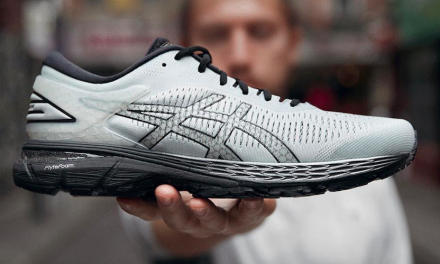 For all the tumult REI Co-op faced earlier in 2019 due to the sudden resignation of CEO Jerry Stritzke, the company is clearly on solid ground after reporting that 2018 was its strongest sales year ever. Bolstered by record revenue and a firm understanding of changing customer demands in today’s evolving retail landscape, REI has big plans in 2019 as it recommits to the outdoors, reinforces its omnichannel strategy, and ramps up its rental and used gear programs. Kent, WA-based REI on Tuesday reported a record $2.78 billion in revenue, up 6 percent from the prior year. Comp sales were up 4.8 percent, and REI added more than 1 million new members, bringing its total membership to more than 18 million. Eric Artz, REI’s interim president and CEO, credited the co-op’s unwavering commitment to the outdoors for its success last year, including again closing all stores on Black Friday for the annual #OptOutside campaign and also donating a percentage of profits to outdoor causes. Giving $77 million to employees through profit-sharing and retirement. It was able to do so thanks to solid financials in 2018. Operating income in the year dipped slightly to $186.5 million from $188.5 million a year ago, while gross margins improved 20 basis points to 43.7 percent from 43.5 percent in the same period a year ago. The sales and margin improvement offset an increase in operating expenses by 8 percent to $1 billion, or 37 percent of sales, up from $951.7 million, or 36.3 percent of sales, a year ago. And REI in 2018 generated a net income of $47.1 million, meaning it gave more than four times that amount to members through dividends and credit card rewards while also donating a significant chunk to outdoor causes. And this year will see REI reach a major philanthropic milestone as part of that pledge to do more, as Artz and Board Chair Steve Hooper penned in a letter to co-op members on Tuesday. In the co-op’s financial report, as well as the letter that Artz and Hooper wrote, REI honed in on the importance of stewardship and sustainability, and nowhere was that more evident than in the co-op’s outline for increased focus on rentals and used gear. REI cited the growing number of millennials—36 percent, according to studies—who would rather rent gear or buy it used in order to save money and promote sustainability while in pursuit of an active lifestyle. Ben Steele, REI’s chief customer officer, expanded on the reasoning behind the scaling up of these programs. 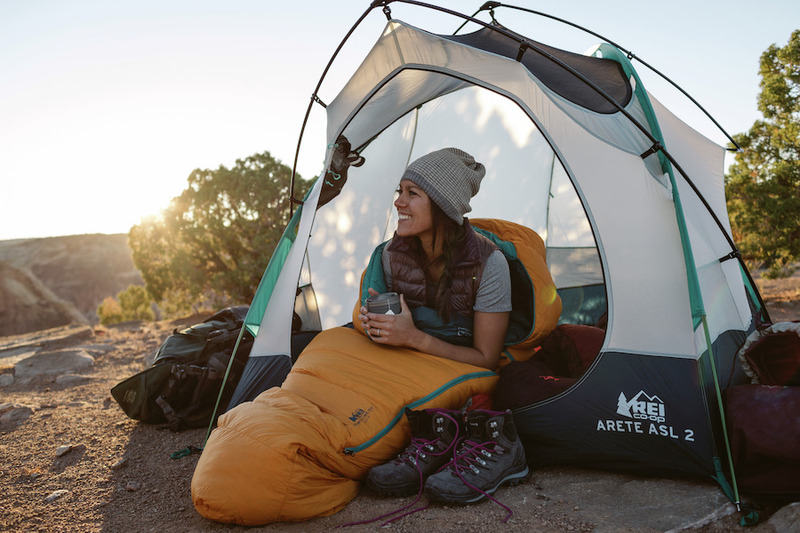 The upbeat financial report was welcome news for REI, which made headlines a couple of months ago for all the wrong reasons. That morning, at an employee meeting at REI headquarters, Hooper announced that Stritzke would be leaving the co-op on March 15 and replaced by Artz, then the co-op’s COO, on an interim basis. SGB gauged industry reaction from vendors and other partners with an in-depth, follow-up article, Can ‘Bench Strength’ Bolster REI During Leadership Transition?. While most weren’t willing to comment on the record, the general consensus was that REI was, and is, bigger than any one executive, and they remained confident in the co-op’s ability to handle the PR situation thanks to an apparent “bench strength” in their leadership ranks, starting with Artz. Most agreed that it was going to be business as usual at the co-op for vendors and consumers alike, even as unconfirmed rumors festered around the industry about the real reason for Stritzke’s departure. All of which means Tuesday’s stellar financial report could bring some closure of sorts to the co-op, which is squarely focused on leveraging a strong 2018 for even loftier aspirations. However, the matter of finding a new permanent CEO still looms, as does a tough retail environment with more sales shifting online. In regard to the latter, though, REI continues to invest across its sales channels. This year, the co-op plans to open six brick-and-mortar stores in the U.S., including four new states, while also seeing e-commerce flourish. In fact, online sales grew in the high-teens to about 30 percent of total sales, Artz told Forbes. REI didn’t make any acquisitions in 2018, but in February of this year the co-op announced the acquisition of its long-standing adventure travel partner Arizona Outback Adventures (AOA).